Armenia Tourism Blog: Bread with green or simply "zhngyalov hats"
Bread with green or simply "zhngyalov hats"
But there is a festival which is held in Artsakh and it cannot be compared with any other in the world. For the first time this unforgettable event was held in the Askeran district in 2015. 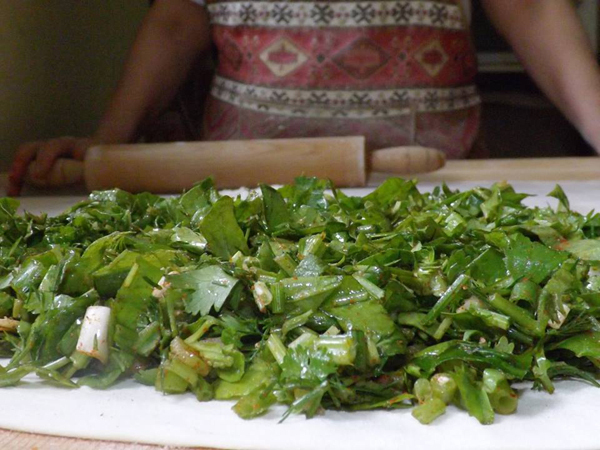 All districts of Artsakh presented their version of bread or flat cakes with greens, so-called "Zhngyalov hats". All the greenery that grows on the territory of Artsakh is collected, finely chopped, a small amount of vegetable oil and spices are added there too, and all this is baked in a thin dough on the heat pan. It turns out matchless pies with greenery in the dough. And how many vitamins! You cannot count! The mountain air itself is felt when you taste this delicious dish! "Bread with greens" or "Zhangialov hats" has its own history and roots in the nineteenth century. The first written references to it were found in Artsakh. 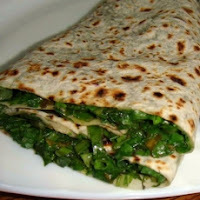 And now, from generation to generation, the inhabitants of these places have perfected the recipe for cooking this dish, and today Zhngyalov hats can be considered one of the visiting cards of the country. The festival is accompanied by national games, dances and, of course, the very procedure of preparing this dish. Expert connoisseurs give advice, boldly show that they are able to cook and treat all those who are not indifferent to the national Armenian cooking. The purpose of the festival is the revival of national sources, a tribute to traditions and fidelity to the native spirit. The mentality of the nation is stored in the national cuisine, in adherence to the origins and in the continuation of the traditions started by the ancestors. And this dish was able to unite people around itself, unite the history and national cooking traditions of ancient Artsakh.